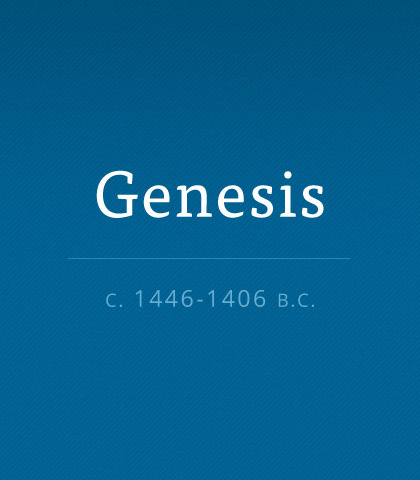 Genesis is the first book of the Old Testament. Testament is another word for covenant. Covenants are prominent in the story of Genesis. Read more about the book of Genesis. Who Says the Honeymoon Must End? We think of the honeymoon as the beginning of the marriage—that initial burst of physical love—that period of passionate ecstasy between the wedding ceremony and the return to the normal responsibilities of everyday life. Nothing is wrong with thinking about the honeymoon in this way. But it does imply that the honeymoon is only for newlyweds and is only temporary. Instead of obeying the clear warnings of their Creator, Adam and Eve deliberately and willfully chose to rebel. And we’ve been living with the consequences ever since—humanity is mentally confused, emotionally afraid, and spiritually dead. However, the good news is God didn’t abandon us in our rebellion. In mercy and grace He provided the way out of our self-made mess through His Son, Jesus Christ. The air today is filled with the shrill cry of “my rights.” And in the centre ring of this loud arena is the home—more specifically, the marriage bond. Mate-swapping, group marriages, and living together without official marriage commitments are realities no longer carried out under the hush-hush blanket of shame and disgrace. Is monogamy an outdated concept? What If Your Boss is Unfair and Disrespectful? If you’re currently employed or were once engaged in the workforce, you understand what it means to answer to someone in authority over you. Since that’s true, you need no convincing of the value of a great boss…one who is caring, equitable, and respectful. Outward appearance isn’t always a true reflection of who a person really is. Each of us is unique and complex—and created in God’s image. The first sentence of the Bible says, “In the beginning God created the heavens and the earth.” But to many that’s impossible. They believe the world just happened, without any reason, intellect, plan, or thought. The truth is everything around us is evidence that creation not only required great thought but a great Thinker. When you look at the perfectly ordered universe, it’s hard to believe it just happened. Both science and history reveal an incredibly and intricately designed creation. And creation always requires a Creator. Do you give a person the freedom to be completely different from you? Or must we all sound, look, and respond alike? Once the foundation of the marriage is firmly laid, six pillars should be built, which will give any family resilience to withstand the erosion caused by the influence of culture.